Instructor version online subscriptions now available! Start your subscription today from the Subscribe Now link at left, or fill out the form to start your FREE one week trial! A.D.A.M. Interactive Anatomy dramatically enhances the study of human anatomy, physiology and related topics. The online version is our best ever, with the easiest, most convenient access, improved navigation and functionality, and additional content and enhancements giving you the most comprehensive anatomy resource and advanced curriculum development tool available online. Our incredibly detailed graphics, precision accuracy and advanced functionality have been combined with A.D.A.M. 's award-winning Multimedia Encyclopedia with over 3,600 articles covering conditions, disease states, procedures, treatments, surgeries, tests and more, over 3,000 illustrations, diagrams and photos and over 120 multimedia videos. An updated 3D image library also provides the best 3D anatomical images anywhere online. AIA is still the most comprehensive resource for your Anatomy and Physiology courses. With the added content take A.D.A.M Interactive Anatomy beyond your anatomy courses and use it to teach clinical applications and concepts for your allied health, nursing, continuing medical education (CME) and medical assistance courses. AIA is a mainstay in anatomy education classrooms around the globe. This unsurpassed anatomy reference and authoring system serves as an advanced curriculum development tool for instructors and a valuable life-long anatomy resource for students. Online subscriptions and licenses to A.D.A.M. 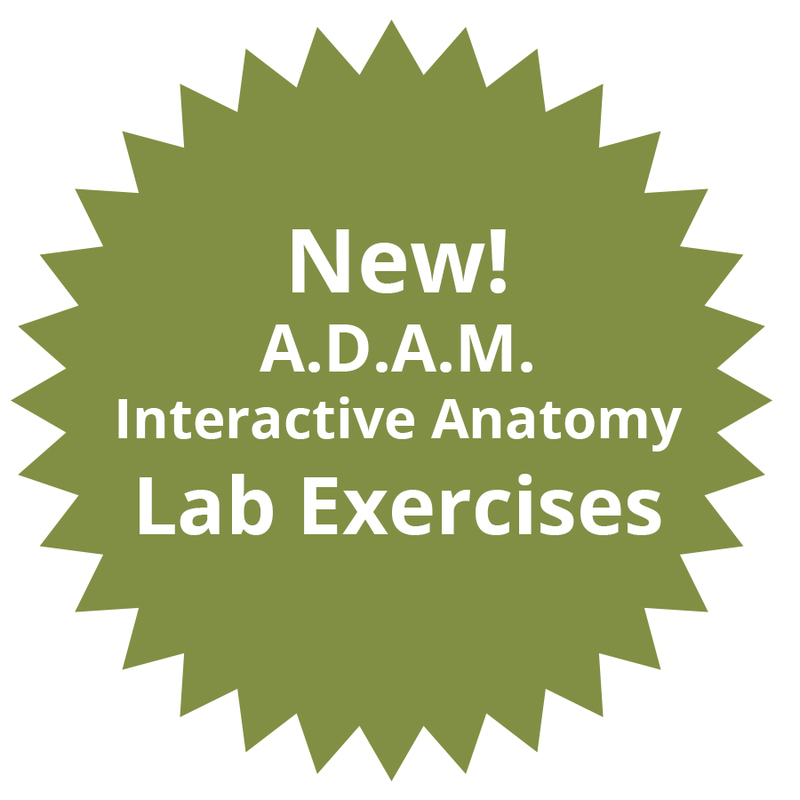 Interactive Anatomy are available for instructors, students, and institutions. With the online version there are no hassles with software requirements or license codes, and you can access this incredible resource anytime, anywhere with simple username and password control. Build and update your curriculum in school, at home, or anywhere you can access a computer. Learn more about our site-wide and concurrent user licenses, or start your online subscription to the Instructor version today. The A.D.A.M. Interactive Anatomy online Atlas Anatomy includes meticulously detailed full-color illustrations of body parts, organs, structures and systems complete with pinned structures. Not only do you get the highest-quality illustrations available, you also get pinned cadaver prosection photographs from actual human dissection and even radiographic images! A key offering in A.D.A.M. Interactive Anatomy online is a comprehensive database of clinical content. Thousands of illustrations, animations and articles are available to help you teach complex anatomical structures, organs, and physiological systems in a clinical context. Thousands of accurate illustrations - Now with over 3,000 clinical illustrations and unique articles covering disease states, injuries, first aid, surgical procedures, cellular components, and more. Each illustration has been carefully designed by a certified medical illustrator and reviewed by medical experts in the field. Clinical animations and viewer - 28 professionally-produced animations cover topics related to physiology, disease, and surgery. You can display these animations, or even your own animations, in the Animation Viewer! With our 3D library, you can visualize hundreds of specific detailed structures in the highest resolution available. In addition to full rotation, the 3D models provide for cut-away views, transparency effects, and fly-through sequences. A.D.A.M. Interactive Anatomy online Curriculum Builder - Curriculum Builder is a great way to integrate your text with customized images from AIA to create, organize, and package course materials, virtual laboratory exercises, classroom lecture presentations, and custom communication tools. With Curriculum Builder your classroom lectures, virtual laboratory exercises and more can be shared with your students electronically or posted using your school's learning management system. Import and export capabilities - You can import 3rd party images and animations, and easily export customized images into PowerPoint® and word processing applications, curricula, tests, and more. Flexible annotation tools - Annotate illustrations in Dissectible Anatomy, Atlas Anatomy, Clinical Illustrations, or even your own imported images easily with the advanced functionality of AIA online. Hide and lock viewer controls - Use hide and lock viewer controls to disable structure identification and display only what you want students to see. Live lecture mode usability - Create dynamic live lecture presentations using the interactive and visual power of AIA online. The software can be used in class, and allows for annotations and modifications on-the-fly. Start your free 1-week online trial today. A.D.A.M. will not sell or rent your information to 3rd parties.